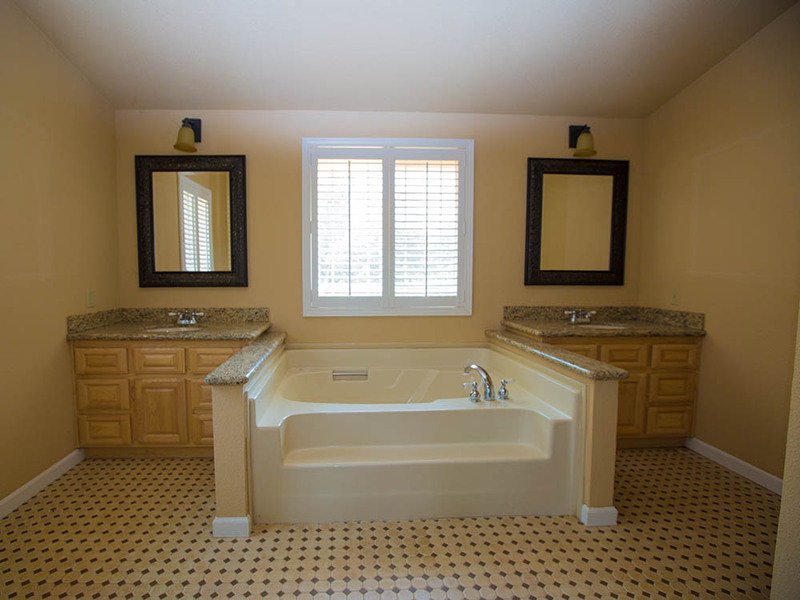 Home is where the heart is – follow yours to Heart Valley Ranch! Embrace the beauty of Golden California at Heart Valley Ranch – 365± acres nestled in the foothills of the Sierra Nevada Mountains. 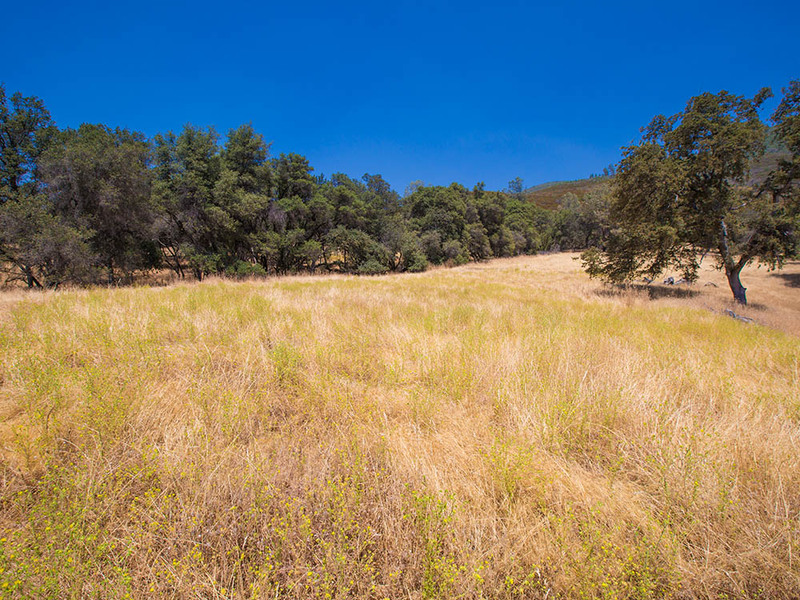 This is one of the last large, close-in Sierra properties – full of oak-studded meadows nestled in a beautiful natural bowl. 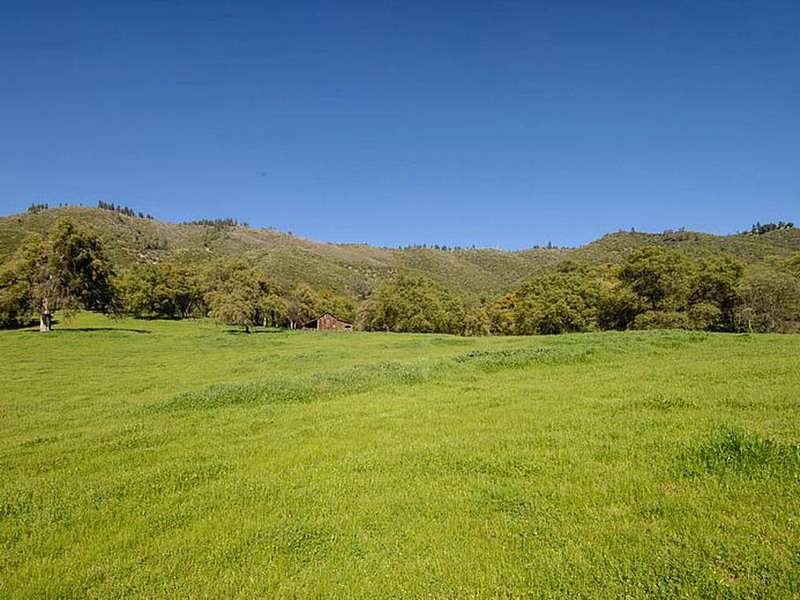 It offers expansive acreage adjacent to BLM lands, providing protected privacy and tranquility. An Albert Burney representative will be available daily from September 30th thru auction Day between 10:00 AM to 4:00 PM. For more information call (800) 434-1654. Other times are available by Appointment Only. 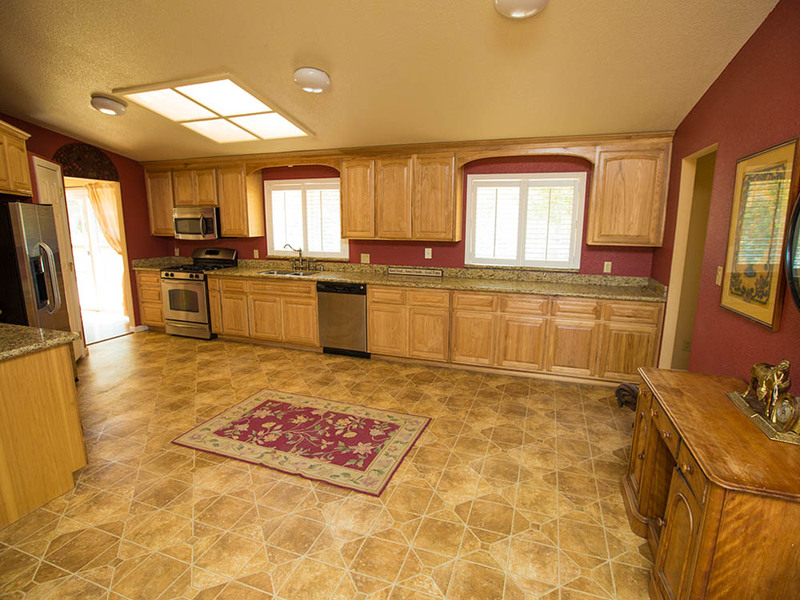 The auction will be held at 8101 Priest Coulterville Rd, Groveland, CA 95321. Ten percent (10%) down Auction Day with closing on for before November 7, 2016. Certified funds in the amount of $50,000.00 will be required to bid. The certified funds may be in the form of a Cashier’s Check made payable to the bidder, or a personal or company check with a Bank Letter of Guaranty. 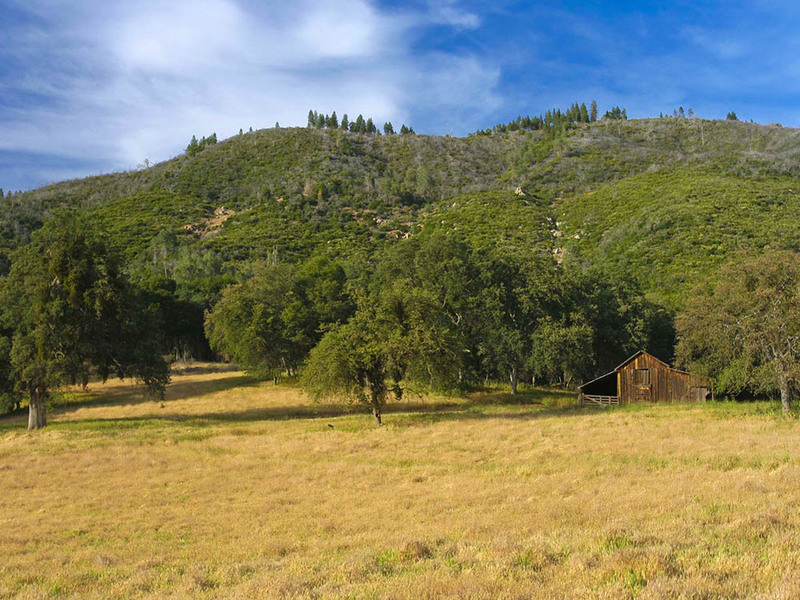 Own a 3 BR/ 2 BA Cottage on 365± acres with a hay barn, a historic homestead barn plus outbuildings all nestled in the foothills of the sunny Sierra Nevada Mountains. The beauty of the Sierra Foothills inspired President T. Roosevelt to designate Yosemite as a National Park. John Muir, Ansel Adams, hundreds of artists, thousands of photographers and millions of tourists have also paid homage to the area’s spectacular sights. Enjoy Heart Valley’s location which provides the best of both worlds: a beautiful rural setting just minutes from historic Gold Rush Towns, just a few miles from lakes, rivers, trails and all Yosemite has to offer, yet only 100 miles from the San Francisco Bay Area, Silicon Valley, Sacramento and Fresno. This location plus the nearby Pine Mt Lake Airport make Heart Valley a wonderful choice for a second home, sportsman’s getaway, or primary residence. 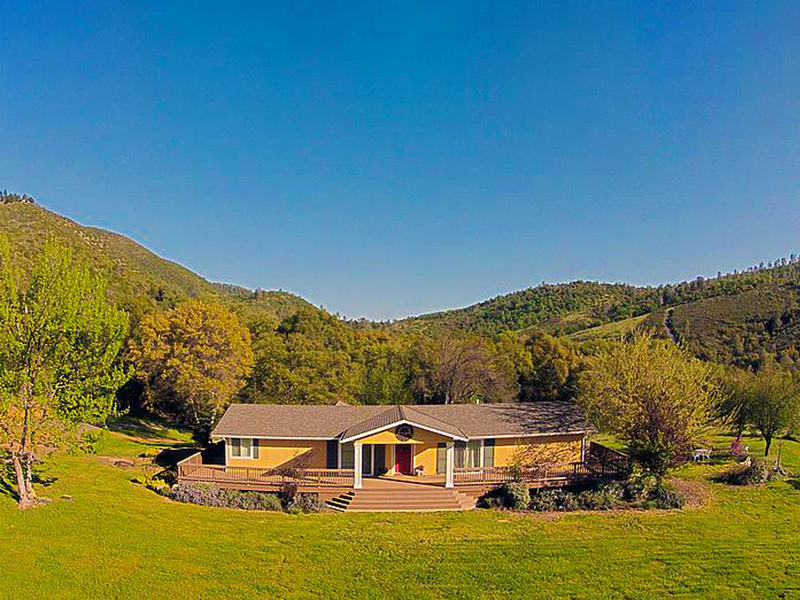 Fall in love with California’s sunny, mild Mediterranean climate and Heart Valley’s comfortable 2500’ elevation: above the fog and below the snowline affording year-round recreation. The possibilities are only limited by your imagination, as this beautiful estate inspires vacation living every day as a resort ranch, corporate or family compound, camp or agricultural business. The property provides green living with truly golden opportunities—a rancher’s, hunter’s, nature lover’s and gold prospector’s dream. The man world-class recreational opportunities all around Heart Valley Ranch are almost too many to list! Climbing, biking, riding, skiing, camping, river-rafting on the Tuolumne, fishing in Lake McClure or boating on Lake Don Pedro. Entertain family and friends with your own brand of ranch fun including local festivals, rodeos, antiquing, exploring historic towns, mining sites, spectacular caves, tasting local wines and generally enjoying every memorable moment. The Iron Door Saloon in Groveland is the oldest continuously operating saloon in California and serves up a lot of fun daily! For the golfer, Pine Mountain Lake Resort and Golf Club is just a short drive to the links. Enjoy the private swimmin’ hole in Jackass Creek while marveling at the numerous bedrock mortars created by hundreds of years of grinding by Miwok Indians. Panning for gold in Jackass Creek is also fun and could prove profitable. Many nuggets are found locally while exploring waterways or developing local lands. Ever dream of lightening your ecological footprint on the earth? 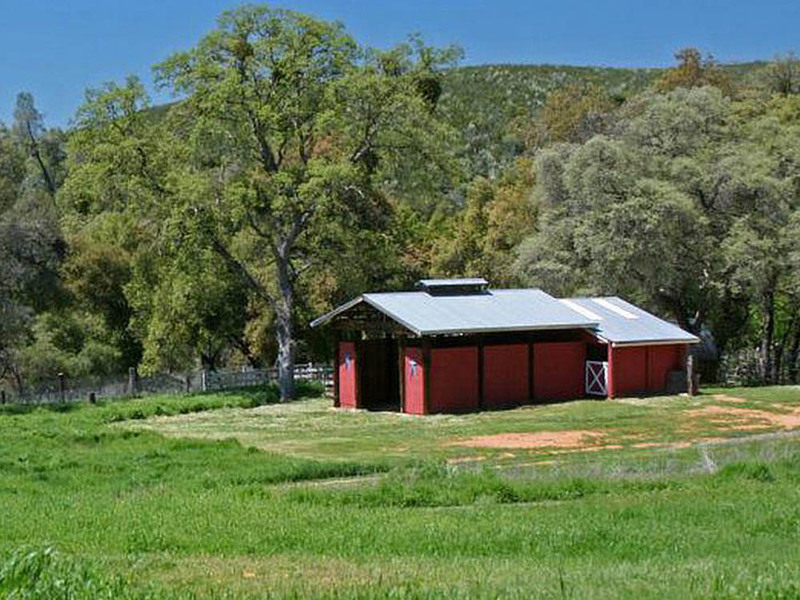 With this property, you can also live energy independent and ecologically green while you experience all Heart Valley Ranch has to offer: living off the grid and off the land – plant gardens, vineyards, fruit and olive orchards, hunt on and off the property and enjoy fishing, boating, swimming and rafting in the nearby lakes and rivers. Even with power lines nearby, Heart Valley Ranch has remained proudly off-grid for 150 years by generating its own power; and with more than 250 days of sunshine a year, solar-power is an additional energy option. Enjoy tax advantages that come with the Williamson Act Contract that Heart Valley Ranch currently has as an agricultural property. Or, if development and/or subdivision is preferred, the contract is already 8 years into the 9-year-suspension process and could be dropped next year. This allows good options for whichever direction an owner prefer: renew the Williamson Act Contract for continued tax benefits or opt out and develop or divide the property as desired. 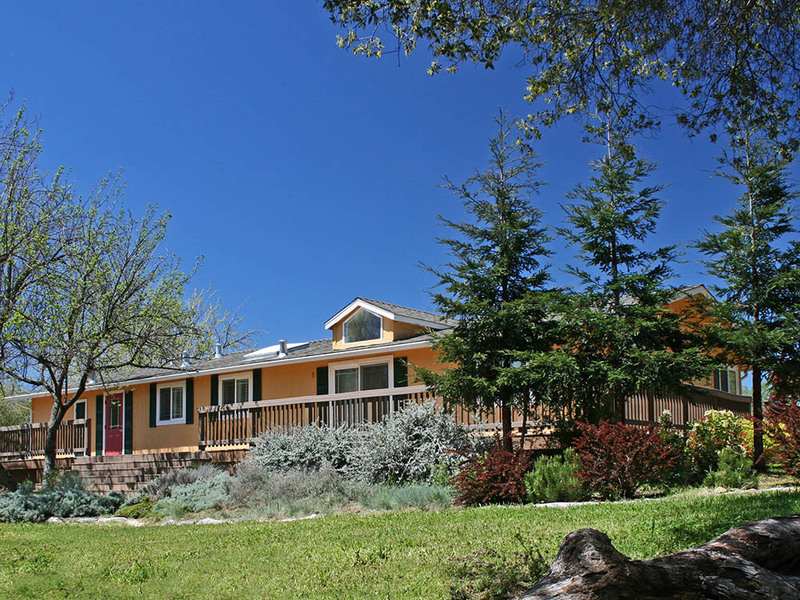 This is one of the last large, close-in Sierra properties! 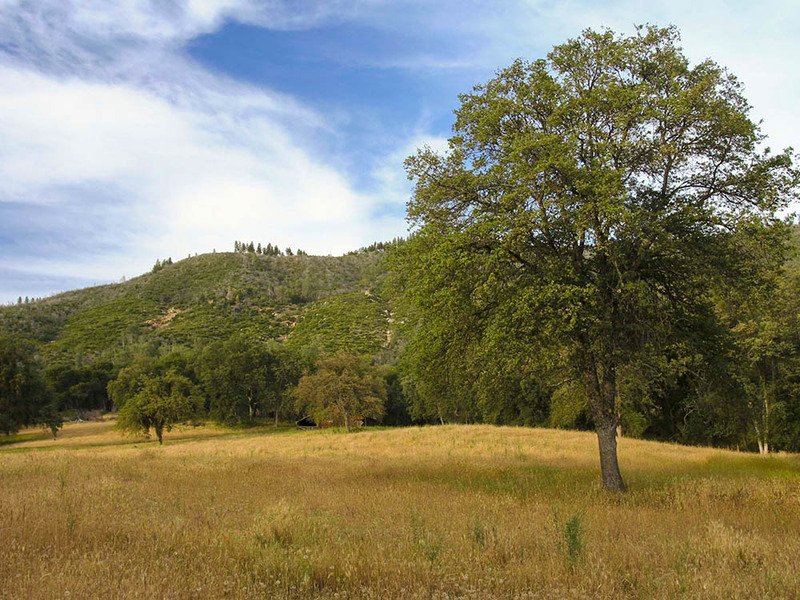 Heart Valley’s acreage with oak-studded meadows nestled in a beautiful natural bowl adjacent to BLM land, providing additional privacy and tranquility. According to many, including Forbes magazine, the land-banking that ranches afford are a valuable asset. 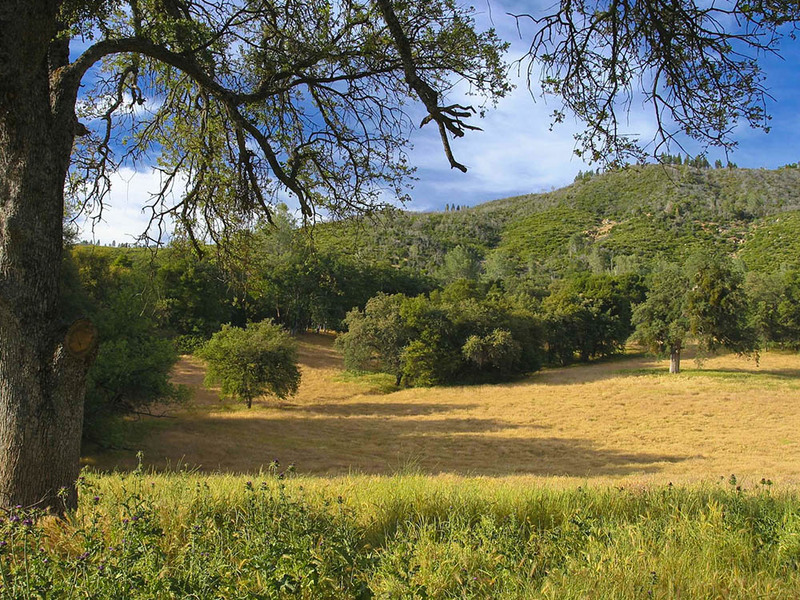 So, why buy ‘just a lot’ when you can buy a Lot of Land in California’s exciting Gold Country and enjoy all it has to offer! DISCLAIMER: All information is taken from sources believed reliable; however, no guarantee is made by the Auction Company, Broker, or Seller. Buyers should satisfy themselves as to any inspections prior to bidding. Any announcements made the day of the auction supersede all advertising. All measurements, boundaries, & square footage have been received by 3rd party resources. Gary Meek, New Vision Realty #01366388.